In the wake of the recent attack on peaceful Ambedkarites, celebrating the Bhima Koregaon battle, by right-wing groups—and the ensuing violence that brought Maharashtra to a standstill—we decided to catch up with the filmmaker of Battle of Bhima Koregaon: An Unending Journey, Somnath Waghmare. Completed in April 2016, according to him, "This is the only existing documentation of the event." Lourdes M Supriya (LMS): When did you decide to make this movie, and what was its purpose? Somnath Waghmare (SW): This movie was completed in April last year. I’ve done my Masters from Pune University. After that, I’d been working in FTII (Pune). It was around that time that Sanjay Leela Bhansali’s Bajirao Mastani released. The film glorified the Peshwa rule, which made me deeply uncomfortable. Under the Peshwas, there was rampant caste discrimination, which the film did not address at all. The other reason was the right-wing’s portrayal of the Ambedkarites’ celebration of the Bhima Koregaon battle. They brand the Mahars as “traitors”. Mahars fighting alongside the British, against the Peshwas, is referred to as “treason” by them. The right-wingers call the celebration “anti-national.” But how is it treason? And what nation are they talking about? When the Bhima Koregaon battle took place, in 1818, there were mostly only princely states. The Mahars fought against one such ruler, the Peshwa. And their differences were rooted in the discriminatory caste practices of the Peshwas, who oppressed the Mahars. They were fighting against this caste discrimination, for their dignity; not against any “nation”. In fact, there was no “India” as we understand it now. So, the first aim was to expose the ugly side of the Peshwa rule, to show that it wasn’t as glorious as Bollywood would have us believe. The second aim was to counter these allegations of anti-nationalism by exploring the history of the Bhima Koregaon battle. See, the main problem is that Bhima Koregaon is, in effect, not part of any academic history, history that we’re taught. That’s because most historical texts are written by brahmin males. And this is not by accident. It’s the caste system, again, which is responsible. You see, according to Manusmriti, only brahmin males are allowed to get an education. As a result, dalit, bahujan stories inevitably go unrecorded, undocumented; they are ignored, and end up being erased from history. I also wanted to start a conversation about it in the public discourse, which doesn’t happen because the mainstream media doesn’t report on this event. The celebrations have been happening annually for years now. Lakhs of people visit the victory tower. But the mainstream media, especially the English media, has never reported it; it’s not documented by anyone. Bhima Koregaon has come into the public disourse now; it was never a part of it before this. From the beginning, we had planned on making this movie available to everyone for free. We screened the movie in a few places before it was uploaded on YouTube. The first was in FTII (Pune). It has also been screened in IIT-Bombay, in TISS-Bombay, where I’m doing my PhD right now. We’ve also screened it in communities, and in a few film festivals. This movie wasn’t made with the aim of making money through it. We made it for the people. The aim was to take our history to a wider audience. This film was mainly made through crowdfunding. People from progressive circles donated money. Some gave five thousand, some four thousand. That’s how we collected the funds for it. What also motivated me was that there was no documentation of the celebrations that happen at Bhima Koregaon. You won’t find anything on it besides my film. This is the only existing documentation of the event. But, we shouldn’t forget the politics behind this event going undocumented, unreported. 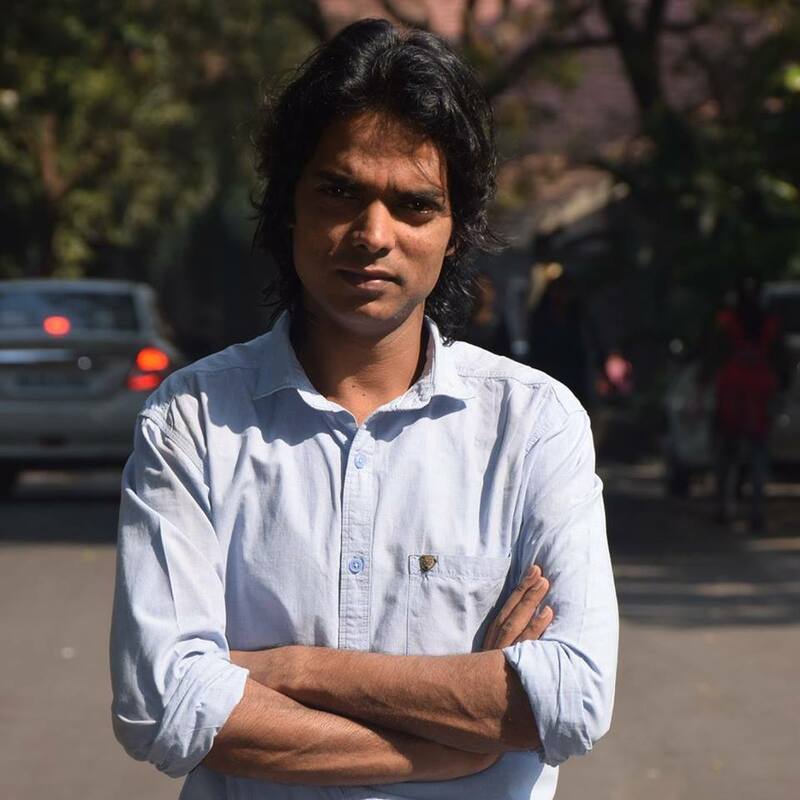 LMS: Would you like to offer some comments on why the media chose to ignore it, and, following the violence, the way the Bhima Koregaon issue is being reported about? SW: The people who gather in Bhima Koregaon, they come together to celebrate and take forward a particular way of thinking, a particular ideology, i.e. the Ambekarite ideology. And it is this that the Hindutva group is actually opposed to. That is why they disrupted the celebration, which led to the violence… The media has portrayed it as a fight between the marathas and dalits. But it’s not that… Dalits, and those supporting them, are actually fighting against Brahminism. It’s actually a fight between those who oppose the brahminical caste system and those who support it (the right wingers). But the media doesn’t report it as this. For instance, while the media is quick to say that it’s the dalits who were celebrating at the Bhima Koregaon victory tower, they don’t refer to the caste locations of those who opposed these celebrations. Just take the two people who’ve been booked for instigating the Bhima Koregaon violence, Milind Ekbote and Sambhaji Bhide*. None of the reporters have written their caste location. If we want to understand why there’s such a biased coverage of the issue at hand, we need to ask, who is in the media, the English media? I’ve studied in FTII, so I can talk about that institute. What is the caste location of those who teach there? Most of them belong to the forward castes. When an incident of caste violence comes to light, what do they think about it; how do they feel about it? How do they view incidents such as the Bhima Koregaon celebration? These questions are relevant, especially because of the privileges that these people enjoy as a result of their caste. Mostly, people from the media write from their own caste location, but they avoid referring to their position as “Brahmin”. There’s was an article in Newslaundry regarding this issue, by Rajesh Rajamani. It became quite popular. In the article, Rajamani points out how Ambedkar is referred to as a “dalit icon”; Omprakash Valmiki is called a “dalit writer.” He raises a relevant question. Would the media ever write about other leaders like this? Would Gandhi ever be called a “baniya icon”? Of course not! But they seem to find nothing wrong in branding Ambedkar a dalit icon. This shows how deep rooted casteism is, in the media. And the media reveals its casteism through such reporting. What further compounds the problem is that dalits, bahujans, don’t have any representation in the media. …the words that one uses to talk about caste also reflect one’s own caste location and caste politics. For instance, Ambedkar deliberately never used the word “dalit” in his writings; for that matter, he did not use “scheduled castes” either … The words that the media uses, shows the media’s caste politics. They don’t know how to handle — how to report on— caste issues and such incidents. * Milind Ekbote and Sambhaji Bhide are the leaders of right-wing hindu organisations, Hindu Ekta Aghadi and Shivraj Pratishthan, respectively. An FIR has been registered against both of them for "orchestrating violence" in Pune, The Indian Express reported.